Thanksgiving Guest Post at Dodeline Design blog! I’ve done a guest post over at the Dodeline + Design blog. Check it out! And be sure to visit Dodeline’s Etsy shop. She makes beautiful, graphic cards often with a touch of humor. This is one of my favorites. Categories: Uncategorized | Tags: angry pear, guest post, Thanksgiving | Permalink. Categories: angry pear, Uncategorized | Tags: angry pear, annoyed, cartoon, cell phone, comic, obnoxious, obnoxious cell phone user, sick of it | Permalink. Categories: pear people, Uncategorized | Tags: cabaret, cute, funny, illustration, Pear, Pear people, pear person, pears, singing | Permalink. Categories: pear people, Uncategorized | Tags: cute, flowers, funny, gardening, illustration, Pear, Pear people, pear person, pears, shopping | Permalink. Pear and Bad Rabbit again! Categories: angry pear, Pear and Rabbit, pear people, Uncategorized | Tags: angry, angry pear, bad bunny, bad rabbit, cute, funny, illustration, Pear, Pear people, pear person, rabbit, shawl | Permalink. There can be only Pear! He is immortal. Harvested in the highlands of Scotland over 400 years ago, he is not alone. There are others like him. Some good, some rotten. For centuries, he has battled the forces of darkness with the holy fruit bowl his only refuge. He cannot die, unless you take his stem and with it, his power. In the end, there can be only one. May it be Duncan McPear, The Highlander. Categories: pear people, Uncategorized | Tags: Duncan McPear, illustration, Pear people | Permalink. Categories: pear people, Uncategorized | Tags: Bosc, bosc pear, cute, funny, illustration, meeting, Pear, Pear people, pear person, pears, variety, various, various pears | Permalink. She goes to the dojo three times a week. Categories: pear people, Uncategorized | Tags: cute, dojo, dojo pear, funny, illustration, karate pear, Pear, Pear people, pear person, pears | Permalink. Categories: angry pear, pear people, Uncategorized | Tags: angry, angry pear, annoyed, cute, flying a kite, funny, illustration, kite, kite flying, Pear people, pear person, pears | Permalink. Categories: angry pear, pear people, Uncategorized | Tags: angry, angry pear, annoyed, cute, funny, illustration, Pear, Pear people, pear person, pears | Permalink. Categories: angry pear, pear people, Uncategorized | Tags: angry, angry pear, annoyed, illustration, Pear, Pear people, sick of it | Permalink. Categories: pear people, Uncategorized | Tags: cute, funny, garden, illustration, Pear, Pear people | Permalink. 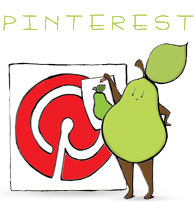 Categories: angry pear, pear people, Uncategorized | Permalink. If only one of them had worn blue. Will I be green? Will I be Bosc?